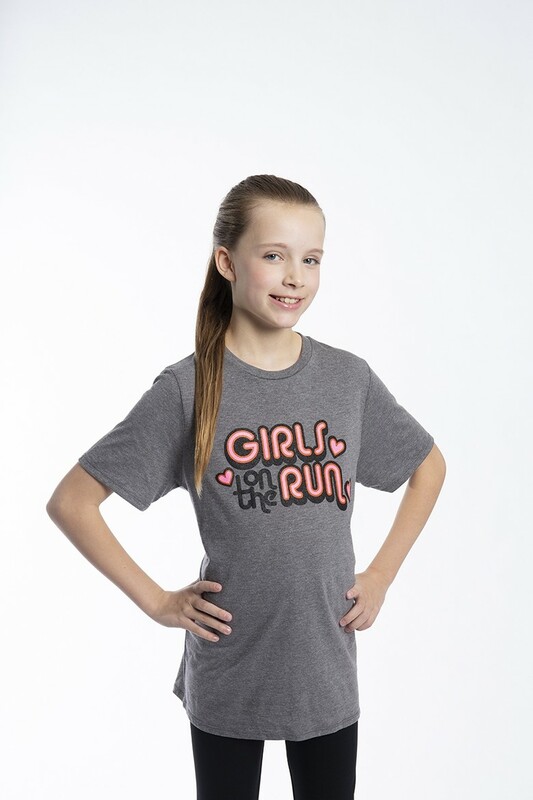 Your girl is sure to find her happy pace in this super-comfy retro, art deco District tee! 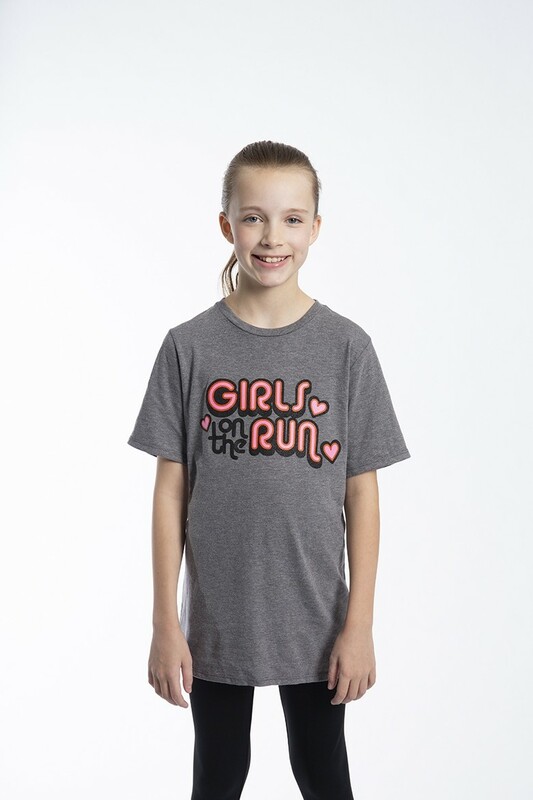 It’s the perfect tee for layering and showing Girls on the Run pride. The model is 4’ 10” and is wearing a size Large.